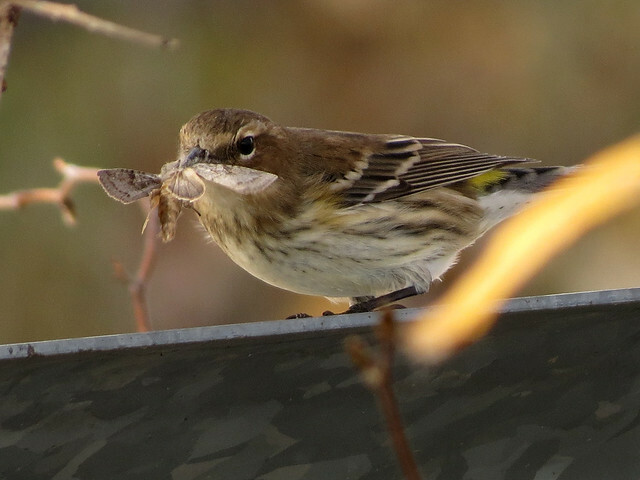 A delicious, nutritious moth makes a nice meal for a migrating Yellow-rumped Warbler. Photos taken 17 October, 2012, at Fort Sheridan Forest Preserve in Lake County, Illinois. Since we’ve been back in Florida, we’ve been spending a lot of time away from home. I haven’t seen any butterbutts in the yard, but I haven’t had much opportunity to look. Hopefully that will change very soon! 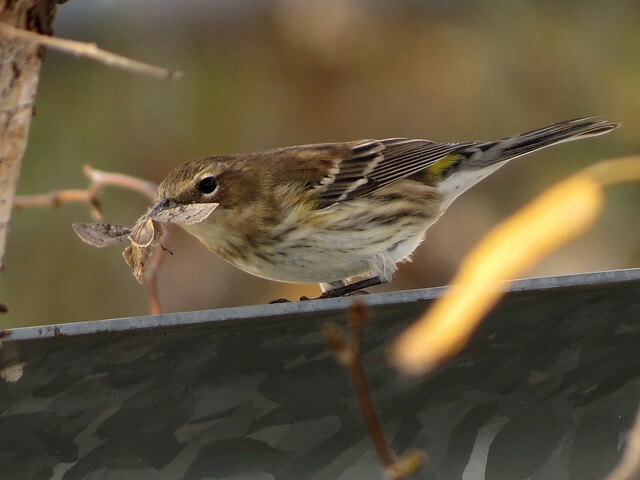 It’s always a pleasure to see Yellow-rumped Warblers in the yard! 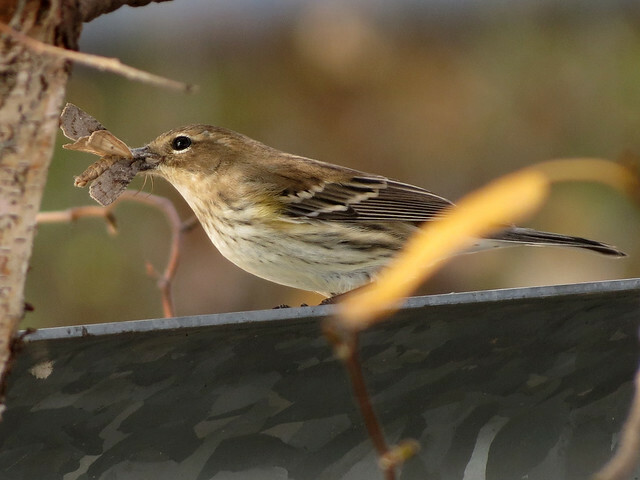 This entry was posted in Illinois, LCFPD, Migration. Bookmark the permalink.